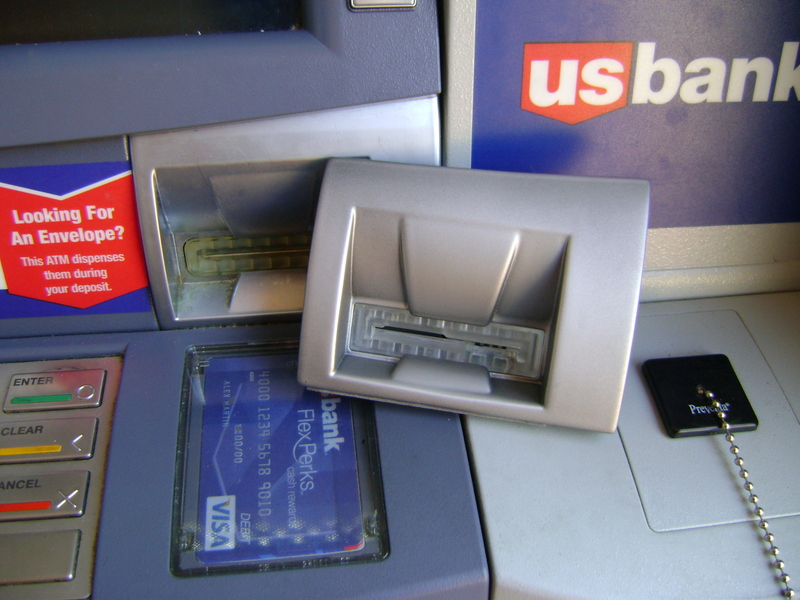 Fraudsters and skimmers, oh my! Skimmers are sneaky little devices, which fraudsters affix to ATMs or other machines that accept credit or debit card transactions. The skimmer then secretly swipes your card information whenever you slip your card into the affected machine. These pesky gadgets have been around for years. But thieves are continually improving them and their usage doesn’t seem to stop! Recently, a credit union in Washington reported an increase in card fraud because of a skimmer thought to be located at a nearby gas station. Wauna Credit Union can take steps to prevent and detect skimmers placed on our own ATMs and ITMs. But it is impossible for us to protect all of our members from skimmers elsewhere. When you can, use ATMs, ITMs, and gas pumps that are familiar. The more routine the visit to the machine is, the more likely someone has been checking regularly to detect potential issues. Look for evidence of tampering! For example, some gas pumps will place a security seal over the portion of the gas pump that controls the card reader. A broken seal a strong indication that the card reader has been tampered with. Is the gas station unfamiliar to you? try comparing the card reader at your pump with card readers at other pumps. If there is a discrepancy, pay inside, use a different pump, or find a different gas station. An extra minute or two could save you a huge headache. When possible, run the transaction as a credit transaction instead of a PIN transaction. 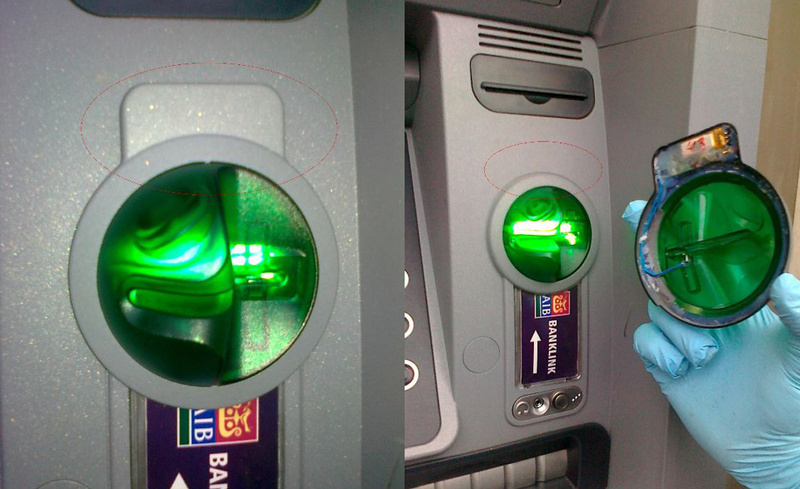 If using an ATM that is located inside of a convenience or grocery store, look for evidence of tampering. Ways to detect a skimmer include lightly pulling on the card reader and pin pad to ensure neither easily detach from the machine and by paying attention to colors and graphics on the machine that appear to be different than what should be expected. Pay attention to anyone who appears to be loitering or otherwise hanging around a machine with no visible purpose. If this is the case, use a different machine. Report the suspicious person to the business. 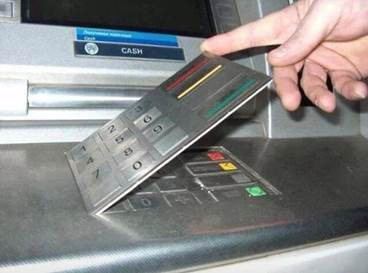 Always ensure you are covering the PIN pad when typing in your PIN number. Regularly monitor credit card and account statements and look for discrepancies. By keeping an eye on your statements and creating alerts in online banking for unusual activity, you proactively fighting fraud. Contact us right away if something seems out of the ordinary. Making sure that you are aware of how to detect skimming devices can go a long way towards keeping you and your finances safe.